Oogie WOogie #1 is the first Episode of our Mixtape series. Stay tuned for more parts in the future! 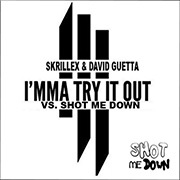 ... David Guetta and Skrillex!! Watch the video with Dj's from Mars and Deadmau5. The shooting was this Saturday. We went in the woods of Germany and are very grateful for everyone who participated in our project. After shooting the raw material, it will take a little while for the post production. 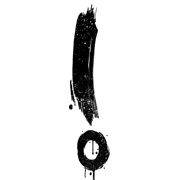 The release of our new stuff is set to mid of January 2014. Brace yourself for our new stuff. 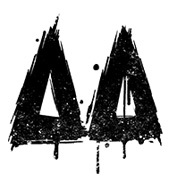 After the shooting we will keep on working on our EP, which is set for end of march 2014. After releasing the "Apokalypse EP", Naamio will take a creative break. We will be back very soon and you will experience the new Naamio. We expect to be ready in the new year. The new era will start in 2014. We appreciate your support. 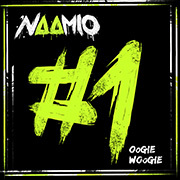 We now officially announce the release Date for the upcoming EP of Naamio. It is set for 18th October 2013. It all started with the recording of a Metalcore singer for an event. But it didn't stay like that. We produced a new song with his vocals. It turned out pretty good, so we decided to shoot a music video for it. Also we came up with the idea of a remix contest, in which surprisingly many people participate. 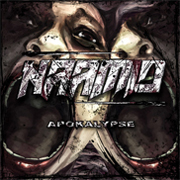 the release of "Apokalypse" will be on 18th October 2013.
on the "Apokalypse" EP, together with the Apokalypse Music Video. Release Date will be announced soon. We hope that you like the best remixes as well as we do. Furthermore we want to thank everyone who participated. 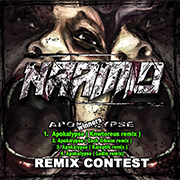 The four wining remixes will be released on the "Apokalypse" EP, together with the Apokalypse Music Video. Release Date will be announced soon.